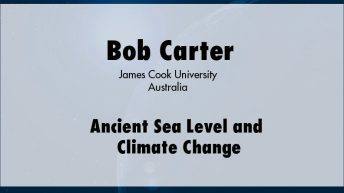 Robert Carter is presented with the Lifetime Achievement in Climate Science Award by The Heartland Institute at the Tenth International Conference on Climate Change. 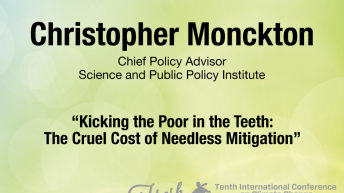 Winner of the Lifetime Achivement in Climate Science Award, presented by The Heartland Institute. Carter has acted as an expert witness on climate change before the U.S. Senate Environment and Public Works Committee; parliamentary select committees on emissions trading in Australia and New Zealand; and in a meeting in Parliament House, Stockholm, Sweden. 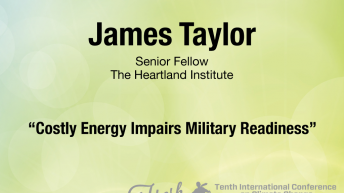 He was a primary science witness in the Hayes Windfarm Environment Court case in New Zealand and in the U.K. High Court case of Dimmockv. H.M.’s Secretary of State for Education, the 2007 judgement that identified nine major scientific errors in Al Gore’s film An Inconvenient Truth.